This is also the point where I realize that this project needs a GitHub repository :) I&apos;ll make one asap. 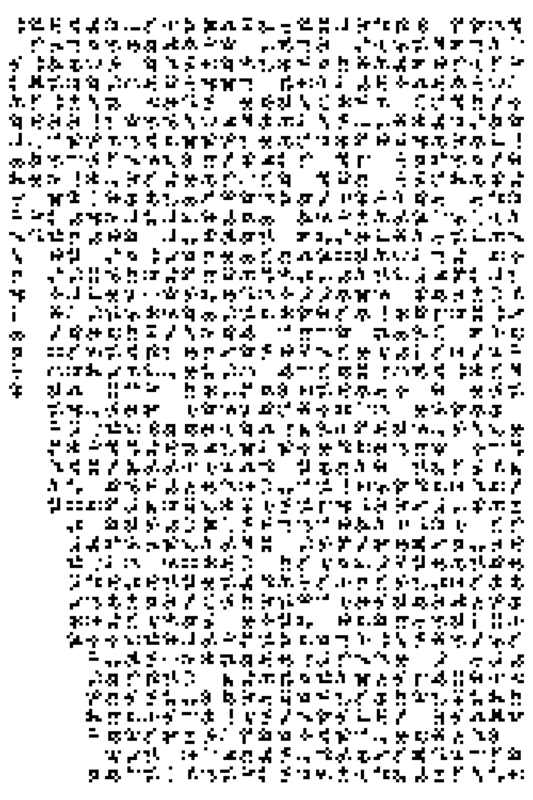 Ok, next step is deciphering that stuff. So, what does this mean? Any ideas? One thing I noticed about FEZ symbols is that many letters are "rotated" or "flipped" versions of other FEZ symbols. 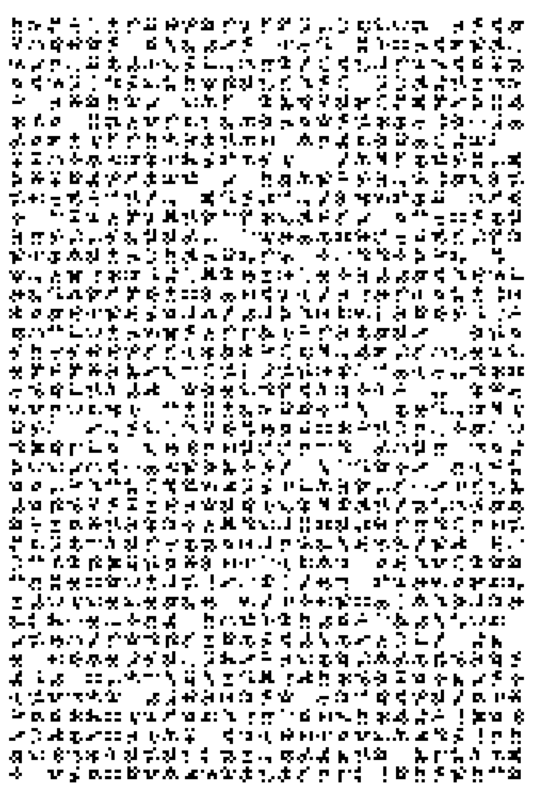 To explore this, as I didn&apos;t have the patience to do this by hand, I coded up a crude Python script that identifies the FEZ characters -- its scan direction is configurable and so we&apos;re able to effectively "rotate" the entire image in steps of 90°, and get different sets of characters from the same images. Haven&apos;t spotted any patterns yet doing this, but for completeness, the above directory has the files I decoded for both versions of the waterfall. I&apos;ve also explored the possibility that a message is hidden based on the binary operation of two images. There&apos;s a second script that can take two or more source images as input, and applies a binary operation (AND, OR, or XOR; default XOR) to each in sequence. That&apos;s also in the above directory. No breakthroughs, but maybe it&apos;ll inspire ideas. Bear in mind that the FEZ alphabet only contains 6 glyphs, each of which can have 4 orientations for a total of 24 characters. It is actually a very efficient code in terms of information coding. 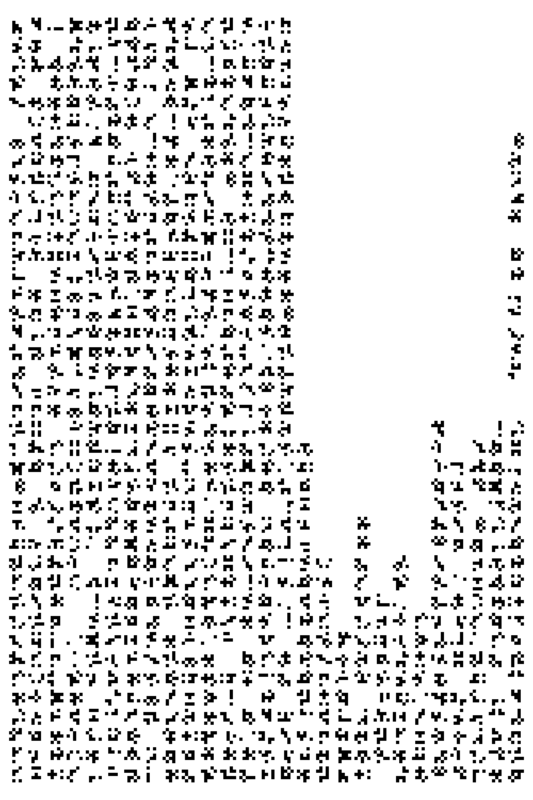 It also means a page of FEZ can be read in four different orientations (by repeatedly rotating the whole page through 90 degrees) and thus produce 4 different results (or 8 if you allow reading the actual characters left to right and right to left, 16 if you allow top to bottom and bottom to top). I think your on to something here. Remember the comment with the waterfall "the exhumation has been reversed". Obviously decoding the fez symbols in the mirror or after rotating would create entirely different characters. I like that idea. 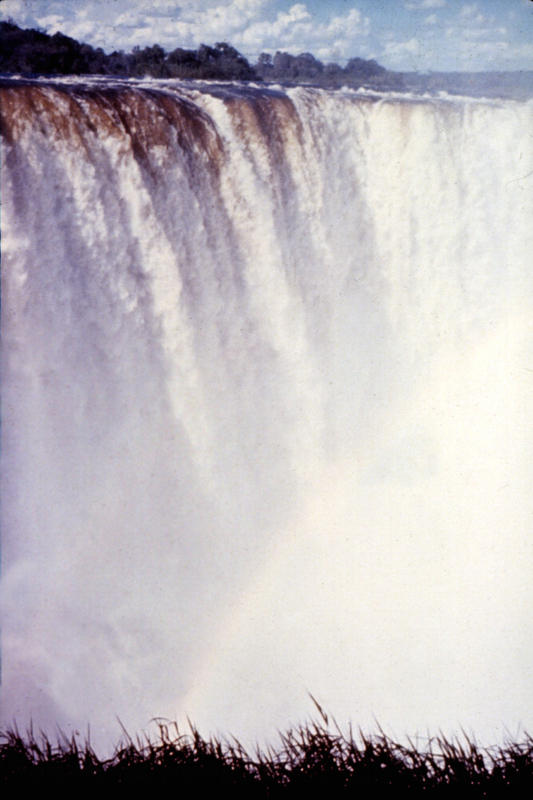 is it possible that like the berenstain bears that the the waterfall image from the past never really existed except in are alternate universe that we seem to have a vague memory of? 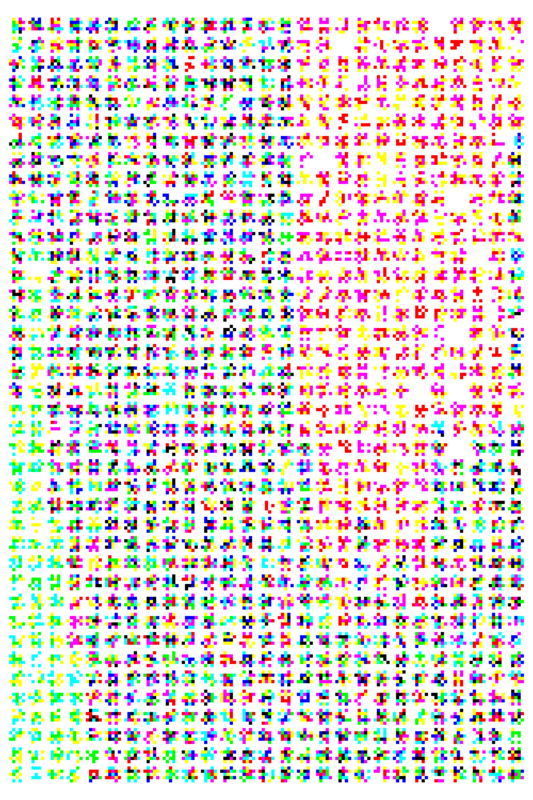 I just took your CSV output, and fed it into some code to rotate it 90° then coloured it in gnumeric to generate that. I&apos;ll give the others the same treatment and see what happens. So the difference is in the characters we have not yet decoded. The stuff we&apos;ve seen before shows up as blank space in the difference images above. What is the significance of the tiny character in the top left corner, of each of the colour images? Are we meant to use that character for anything else? Do the three characters together form a word, or a Vignenere key? The marker appears to be FEZ code for 1 (red) ,2 (green) and 3 (blue). I&apos;ve tried Vigenère on the FEZ fields in various attempts, but without results. Also, the ambivalence of UV and KQ in FEZ kinda break the usual shifting order of a typical Vigenère since the FEZ alphabet doesn&apos;t really have a defined order. Not sure if there&apos;s significance in the choice of using the symbol for 1+2 instead of the one for 3 itself.